Modernizing the grid: Who pays, who profits, who participates? The transformation of the country’s electric grid — into a smart grid dotted with solar panels, batteries, microgrids and more — holds nearly infinite potential to change our daily lives, our cities and our environment. That was the overarching theme delivered by experts from industry, government and nonprofit groups at the national Grid Modernization Forum in Chicago this week. But unlocking all this potential won’t be easy. Challenges include the risk of cyber-attacks, the overwhelming amount of data generated and a maze of regulations developed over more than a century. Perhaps the greatest conundrum, though, is figuring out who should pay for grid modernization efforts, and how to quantify costs and benefits that are often intangible or based on a constantly shifting mosaic of variables. Just as the electricity delivery system is changing from a one-directional flow to a multi-directional web, it is becoming less clear who is the provider and who is the consumer in complicated energy transactions that depend on automation and reams of data. “We think the industry will change more in the next 10 years than it has changed in the past 100 years,” said Brien Sheahan, chairman of the Illinois Commerce Commission, which recently launched a “NextGrid” dialogue process related to the state’s comprehensive energy bill passed last year. 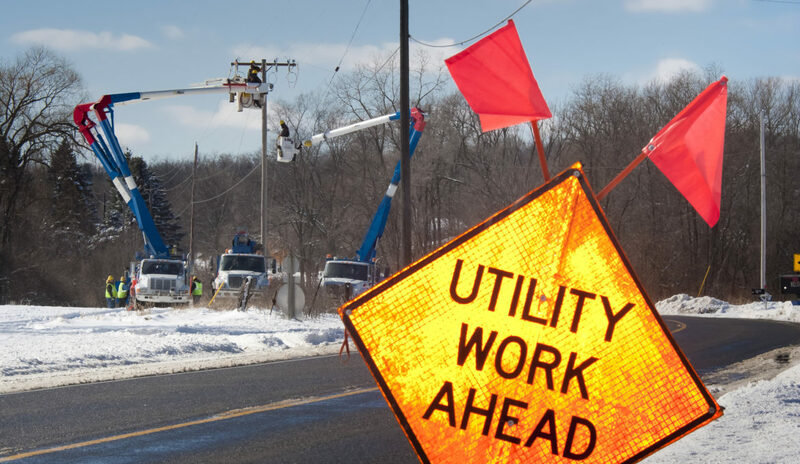 Sheahan cited a prediction that utilities’ investments in communications and information technology will exceed investment in poles and wires in coming years. “One of the most important aspects of analytics is how utilities are compensated for these intangible assets,” he said. There has been much debate in recent years over the “death spiral,” the idea that decreasing electricity demand thanks to energy efficiency and distributed renewable energy will undermine utilities — who, the theory goes, must increase rates to cover costs, thereby creating incentives for customers to use even less energy. Davis said energy is becoming more like cable TV service, where you are paying for access rather than a physical quantity of material. “Rather than a power purchase agreement which no one would buy since the price of energy is changing, why not a ‘human existence agreement’” that ensures access to electricity and other grid services, he proposed. Many say the concept of a “death spiral” is an exaggeration put forth by companies and regulators afraid of change. But regardless of one’s point of view, there is no doubt that the rapid evolution of the grid presents serious challenges and risks for utilities. As the entities responsible for maintaining the distribution grid and — in regulated states — providing generation, utilities are ultimately the ones who have to make sure the grid keeps working when solar panels, batteries, smart meters, electric vehicles and other smart and automated technology are attached to it. And utilities are responsible for serving and pleasing customers who increasingly want to take an active role in managing and customizing their energy, rather than just paying their bills. Forward-thinking utility leaders and clean energy advocates have often touted the ways utilities can benefit from grid modernization and decentralization. Utilities can now work with customers and smart technology to manipulate electricity supply and demand, reduce the need for baseload generation and operate more efficiently. All this technology costs money, and under traditional models it would be the utilities who would spend that money. Typically utilities can recoup their spending on infrastructure and services through customer rates. But the growth of microgrids, distributed solar and other developments has raised questions about whether all customers can be treated fairly or equally. Is it fair if a utility invests in a microgrid that provides resiliency to one community but ratepayers throughout the larger service territory are billed? What if that microgrid also provides stability or backup power to the larger grid? Private entities, from factories to universities and hospitals, can and do also own their own microgrids. This avoids the risk of passing costs on unfairly. But there are also complications in how these microgrids interact with the utility’s grid, and whether they can get needed rights-of-way. Tim Hade, co-founder and CEO of Scale Energy Solutions, which develops microgrids for energy-intensive large-scale marijuana growing operations, tries to convince utilities that such privately-owned microgrids are to their benefit. He said total load has gone up as much as one percent in states with legal recreational marijuana. Utilities have for some years squared off in heated debates over the economics of distributed solar. How should customers be credited for the solar power they generate? Are people generating solar energy still paying their “fair share” for the upkeep of the grid? This solar question — controversial as it has been — seems relatively straightforward compared to the growth of “grid services” that customers might provide a utility: things like demand response, or lowering demand upon request; offering energy storage in an electric vehicle or battery; allowing a utility to control solar installations or appliances; or just providing one’s personal data. Utilities may need to demand all of the above and more in order to keep a modern grid running smoothly. And the prevailing wisdom is that customers should be compensated for the grid services they provide. But since the utility is not necessarily directly profiting from the grid services and their exact value is hard to quantify, how much should customers be paid and where does that money come from? If it’s put into the rate base, does that mean other customers are subsidizing people who can afford solar panels, electric vehicles, or whatever other technology lets them provide grid services? Many say the market will be key to driving the modernization of the grid and the larger energy transition. And indeed scores of startups and other companies have arisen to provide software, hardware, expertise, security, management and other products related to the smart grid. A number of presenters at the Grid Modernization Forum explained that their companies are ready and able to do the heavy lifting involved in managing, quantifying, paying for and otherwise facilitating customers’ participation in a modern grid and energy system. That includes everything from helping large buildings and industries become more energy efficient to managing households’ smart appliances and minute-by-minute energy usage. Many companies are willing and eager to absorb the financial risk inherent in the new energy economy, by basically having customers deputize them to make energy-related decisions and then pocketing a portion of the savings or profit. But this arrangement depends on customers and utilities allowing companies to access their systems and information. Speakers at the forum argued that it is a win-win situation for utilities, who can reap the benefits of such optimization without doing any work or making any investments other than endorsing the companies and helping them reach customers. Speakers and audience members at the forum raised the plight of low-income people, who do not have capital of their own to invest in solar panels, smart appliances or other smart grid-related products. Michael Burr, director of the Microgrid Institute, said that typically the U.S. Department of Housing and Urban Development (HUD) would fund energy-related improvements for low-income households and public housing. But the agency may be in for cuts under Donald Trump’s administration. Burr added that city governments can and should help low-income people afford energy improvements, including through PACE financing. “Vulnerable populations are impacted by long term outages, there’s an obligation to help those populations,” he said. A popular option from development to transportation to education is public-private partnerships, or P3s; and some say they could be key to grid modernization. Experts at the forum described how utilities, city or other government agencies, investors and other private companies can work together on grid modernization for mutual benefit. Particularly as municipalities compete to be “smart cities” driven by the “internet of things,” civic leaders are likely to embrace the idea of smart grid innovations that are tied to other services like transportation, water or public safety. Smart and efficient street lights that turn on and off in response to emergencies, crime or public events are among the simple examples of such concepts. Meanwhile even if the urban poor are served by public initiatives and P3s, rural Americans could be left behind in the smart grid revolution. “We worked really hard to get as economical as we could pushing power from central locations out to the end of the grid,” noted Doug Houseman, vice president of innovation and technology for the engineering and consulting company EnerNex.